Comfortable. Well equipped, quiet. Host extremely helpful! Host Emmanouil made us very welcome The apartment had seaview with large balcony and beautiful large living area and 2 bedrooms It was wonderful The cafe downstairs in front of apartment serves lovely breakfast and the best coffee We received a lovely welcome gift of a bottle of wine and when we leaving another gift of honey,olive oil and soap We were very sad to leave this wonderful place with the beach and restaurants and shops all 5 minutes walk Spinalonga was straight across from our balcony and easy to get there by 10 Ferry again only 5 minutes walk We will definitely be back next year and thanks again to Emmanouil for making our stay special with his friendship and excellent service. The place and the owner who takes time to explain and is very generous. I recommand this appartment. This is a classic, simple apartment offering good value. The facilities are fairly basic, but there is everything you would need for a short stay. The location is ideal. 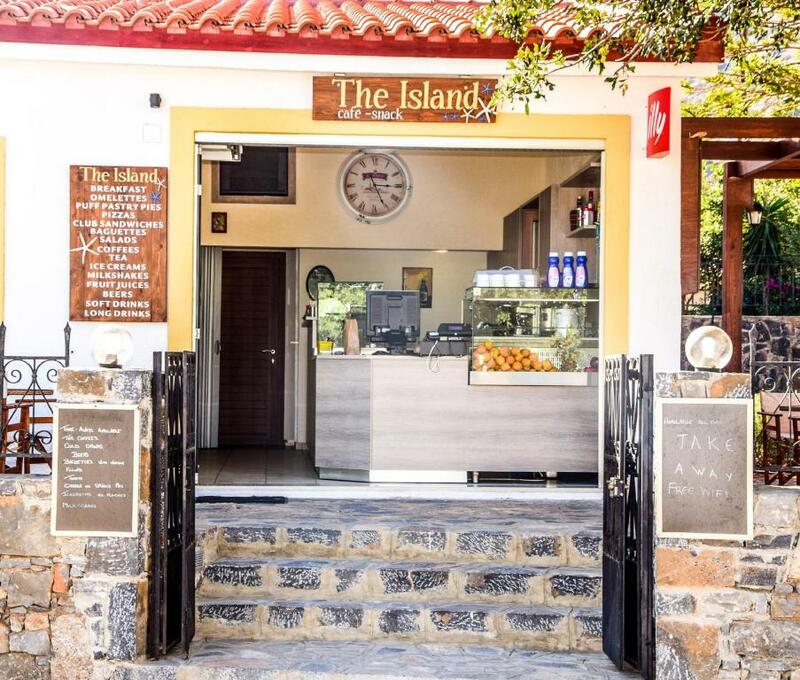 However, it's big advantage over other similar places is Manolis, the owner. He also owns the adjacent cafe, so there is always someone around during the day if you want anything. Manolis is the perfect host, he is kind, friendly and eager to help, but not intrusive. Thank you for making our stay in Plaka so relaxing and enjoyable. Manilos the owner was a lovely, helpful and very friendly man who made us feel very welcome. It was great to be able to get food and drinks on site too whenever we wanted. Room was nice and bed very comfy. Air conditioning worked well. Cleaned very well by lovely housekeeper. We stayed at Athina Villas with our grown up children to visit Plaka and Spinalonga. Perfect location, wonderful host Manolis who went out of his way to make sure everything was as comfortable as home. Apartments had everything you would need, comfortable, clean and beautiful view to wake up to. Plaka is a wonderful place to visit and stay, cannot fault anything at Athina Villas. We will defiantly be back! Thank you Manolis.....and the sandwiches and juice you made us for the airport kept us going till arriving home at 3am!!!! We had the apartments with the see view and it was great! Huge terrasa, nice restaurants all across arround. Claeaning everyday. And amazing hospitality and great tour guidance from the owner made our staying unforgetable. Thank you Manolis. We were greeted by Manolis as a house guest and he made us so welcome. Nothing was too much trouble. The rooms were all very clean and anything we needed was given to us straight away. Nectaria was wonderful as well as Evangelistic. Both very friendly and obliging. Lock in a great price for Athina Villas – rated 9.6 by recent guests! One of our best sellers in Elounda! Located only 350 feet away from Plaka’s beach, Athina offers accommodations with well-equipped kitchenette and free Wi-Fi throughout. Within a few yards, guests can reach a mini market, bars, taverns and a bus stop. 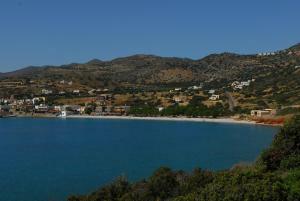 Athina Villas have a balcony, some enjoying views to the Cretan Sea and the island of Spinalonga. Each unit has a dining area, where guests can enjoy their meal. Other facilities include a satellite TV, air conditioning and safe. Guests can start their day with a continental or full English breakfast served daily at the dining area. Coffee, refreshing drinks and light meals can also be enjoyed at the on-site snack bar. An array of outdoor activities such as cycling and diving can be arranged upon charge. Massage treatment and laundry services are provided at extra charge. 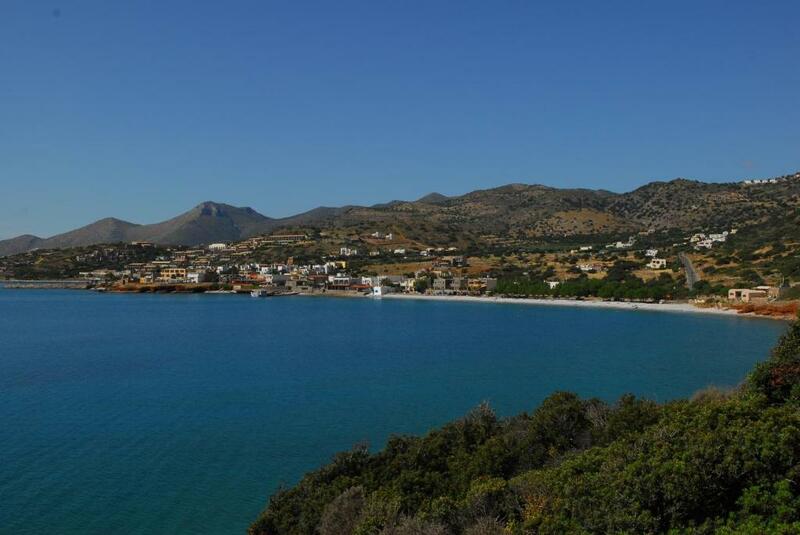 The seaside town of Agios Nikolaos is 6.2 mi away, while the popular resort of Elounda is at 3.1 mi. 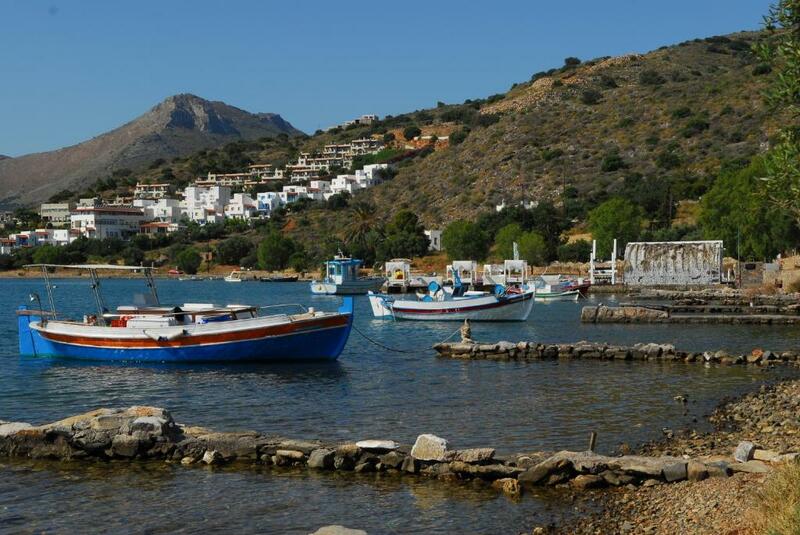 The port to Spinalonga is 100 feet away. Free parking is available near the property. 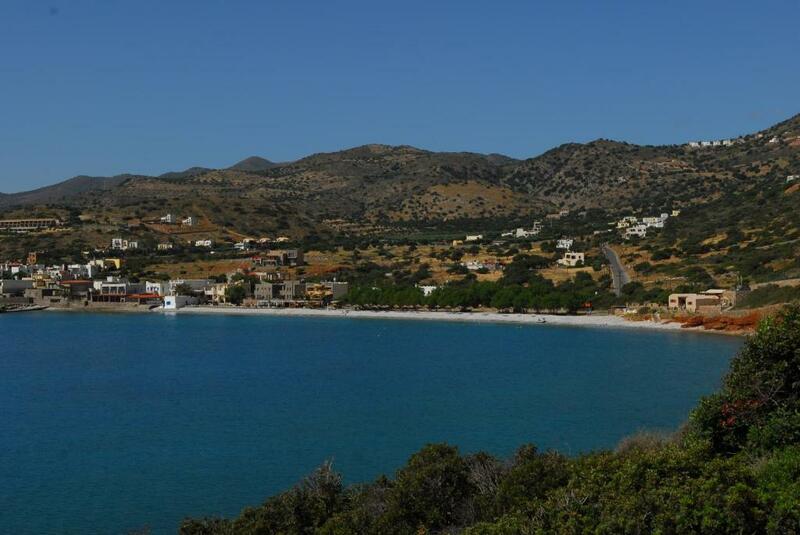 When would you like to stay at Athina Villas? Includes air conditioning, LCD satellite TV, kitchenette with electric kettle, cooking hobs and fridge. Some have a patio or balcony with views of the Cretan Sea. 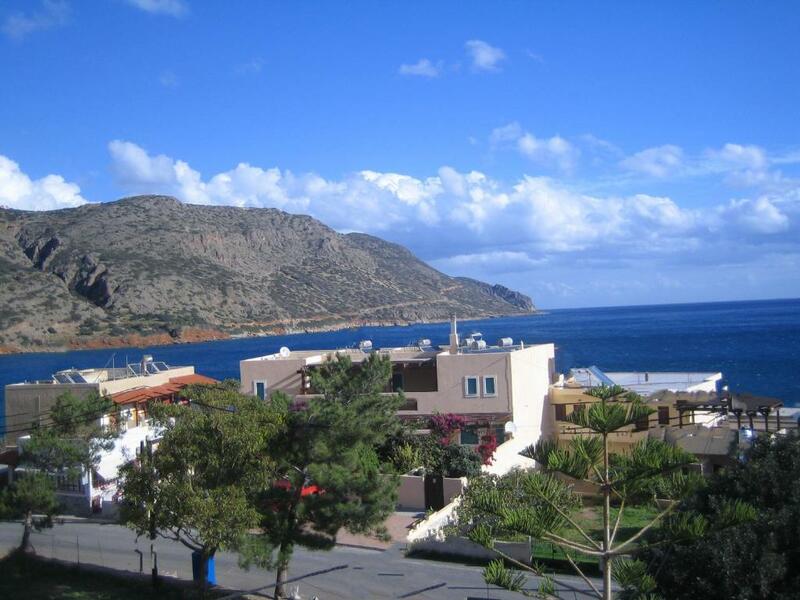 Featuring 2 separate bedrooms, this air-conditioned apartment opens to a patio and a balcony overlooking the Cretan Sea. It offers a flat-screen, satellite TV and a kitchenette with electric kettle, cooking hobs and fridge. This 3-person apartment has a balcony with garden view. Other features include air conditioning and fan, satellite TV, kitchenette equipped with kettle, fridge and hobs for cooking as well as kitchenware and coffee maker. House Rules Athina Villas takes special requests – add in the next step! Athina Villas accepts these cards and reserves the right to temporarily hold an amount prior to arrival. -Guests staying for 14 nights or more are offered complimentary boat tickets to visit Spinalonga Island (tickets for entering the venetian castle is not included). 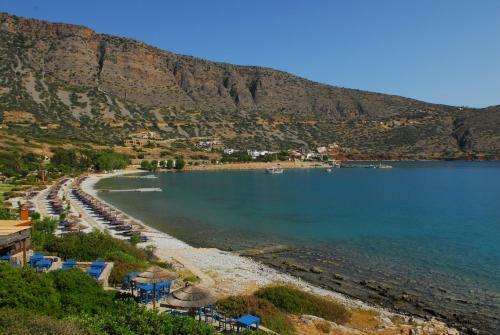 Please inform Athina Villas of your expected arrival time in advance. You can use the Special Requests box when booking, or contact the property directly using the contact details in your confirmation. Super host, so kind and caring! This could not be compared to the large 5 star hotels in the area with their luxuries. But the position in Plaka was central to everything. 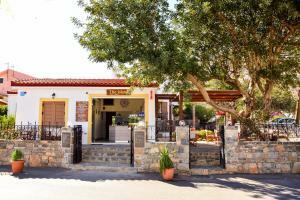 Good bars and tavernas bus stop beach and boat trips to Spinalonga. The large hotels are straggled along the road between Plaka and Elonga. The owner was very welcoming, friendly and helpful. The room was comfortale. 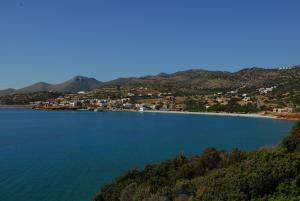 The village of Plaka, Elounda is small, unsophisticated and rather remote, but was ideal for me. Very nice and spacious apartment. Family owned business, everyone was super friendly and willing to help with anything. Very good room service every day. 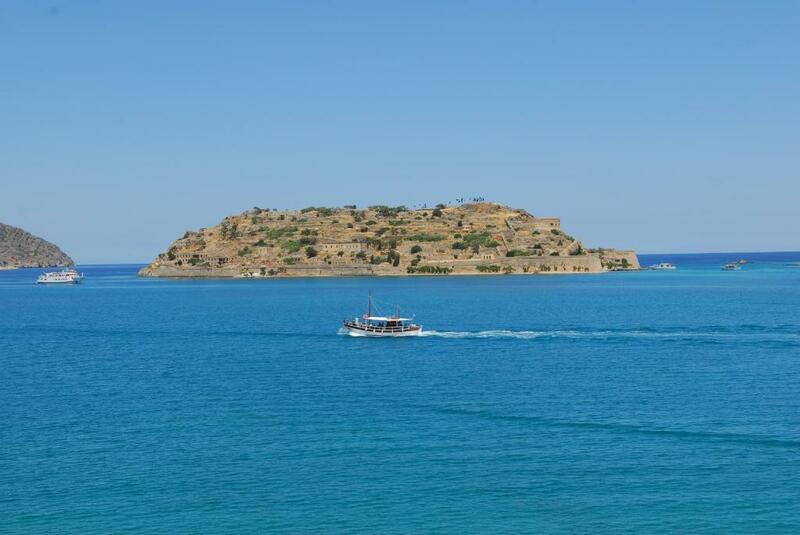 Ideal place to visit the Spinalonga Island - boat trips depart just 100 meters from the apartment.